Edmonton and Alberta should consider medical replacement therapy for fentanyl and other opioid drug users, says Coun. Scott McKeen. The city and province could help address the current overdose crisis by handing out a milder form of opioid to addicts who visit safe injection sites, says an Edmonton city councillor. Naloxone kits, safe injection sites and opioid treatment centres help save lives in the ongoing battle against the opioid problem. But Coun. Scott McKeen suggested taking treatment a step further by considering what is called medical replacement therapy for users of fentanyl and other opioids. "I get it — it's controversial," McKeen told city council's community and public services committee Wednesday. "Giving drugs to drug addicts doesn't seem to make sense to some people. But it makes complete sense to me, and I hope we get there." McKeen urged the medical community to advocate more strongly for replacement therapy using drugs such as hydromorphone, a milder opioid typically prescribed for acute pain. "I think there's really good research backing this up," McKeen said. Drug users continue to die at twice the rate they did in 2016, Dr. Chris Sikora, medical officer of health with Alberta Health Services, told committee members. The latest Alberta Health report showed that 355 people across the province died from opioid overdoses between January and June this year. "We're still twice as high as we were when we started this work two years ago," Sikora said. The rate of deaths from opioid overdoses in Alberta continues to climb. The idea of medical replacement therapy got the full support from Marliss Taylor, program director of Streetworks, a needle exchange program at Boyle Street Community Services. Taylor said there's a "desperate need" for a safe drug supply. "The street market is poisonous right now," she said. "We absolutely have to do more about getting people pharmaceutical grade medication." Regulating drugs would also help ensure there's a safe supply of opioids but she acknowledged such a move would "take a lot of courage." Taylor noted that the federal government has said it does not intend to regulate hard drugs. "I think cannabis has come and gone without the world coming to an end," she said. "People are dying here and I think we need to be more aggressive in what we're trying to do." McKeen said replacement therapy may be a better solution than naloxone, which if administered in time can reverse the effects of an opioid overdose. "It seems a little nutty that we're sending out thousands of kits of anti-venom and we have an opportunity to get rid of all the venomous snakes, which is all these illicit drugs," he said. Sikora told the committee that naloxone is a life preserver and is considered a critical option for hard drug users. Since December 2017, more than 100,000 take-home kits have been distributed through pharmacies or other registered sites. "Our take-home naloxone kits themselves have — I'll use the phrase — been flying off the shelves," Sikora said. 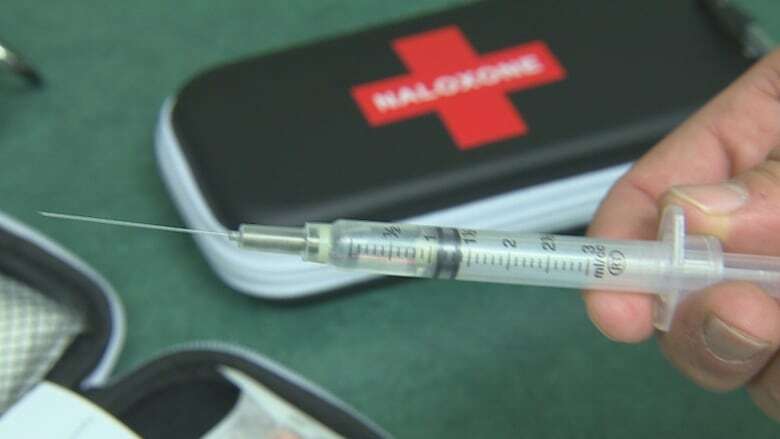 Edmonton Fire Rescue Services is equipped with naloxone kits, and between January and October this year crews administered the antidote 84 times. Edmonton has three safe injection sites: one at the Royal Alex Hospital for in-patients, one at Boyle Street Community Services and at the George Spady Centre. Since April, the two community sites had 19,716 visits from 835 different people. Taylor said the services helped reversed 228 overdoses. A new centre at Boyle McCauley Health Centre is slated to open Nov. 5. Taylor said there's more than enough demand to justify the fourth site. She pointed out that the Streetworks program provides two million needles a year to users, so nearly 20,000 visits to safe injection sites is a "drop in the bucket." Services at the three locations are available 24 hours a day.